Millions of people have suddenly vanished off the face of the earth and chaos and despair remain. One man, Nicolae Carpathia, becomes a beacon of hope and controls a world government. 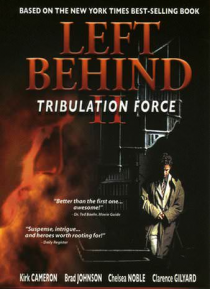 Calling themselves the Tribulation Force, world-renowned TV journalist Buck Williams (Cameron) and his devoted team embark on a deadly mission to expose the prophesied evil that Nicolae represents.